I’m feeling the love for Vermont this week, in the wake of Hurricane Irene’s destruction. So even though we’re in the middle of Pennsylvania right now, I wanted to share a part of one our BEST family vacations…to Vermont. Thanks to Mara at Mother of All Trips for inspiring me to write about the Green Mountain State this week! Where we went, and who was coerced into going: I admit, the initial lure to Vermont was Ben & Jerry’s factory tour. And while we did go there, while staying at the amazing Smuggler’s Notch resort, we also stayed in Burlington for four chock-full days of fun. 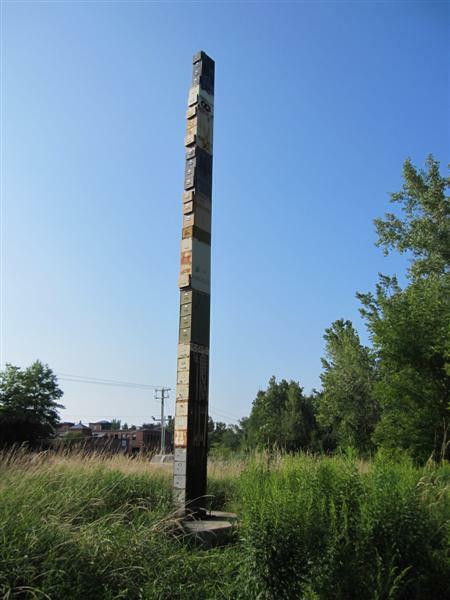 I learned about the world’s tallest filing cabinet after the trip was already planned, but naturally managed to squeeze it into our Burlington itinerary! The cabinet was built in 2002 by local artist Bren Alvarez. The 40+-foot cabinet is actually a stack of 11 metal filing cabinets, in different colors, welded together. The elements have obviously taken their toll, so the rusty tower can’t be long for this world. There’s a total of 38 drawers, on purpose. Alvarez was commenting on the number of years that bureaucratic paperwork accumulated by a proposed beltway project that would have run right through the neighborhood where the cabinet stands. North Beach, even though the waters of Lake Champlain were chilly. The kids will swim in water at any temperature, and the sandy beach was warm. The ECHO Lake Aquarium Science Center, which sits on the waterfront. 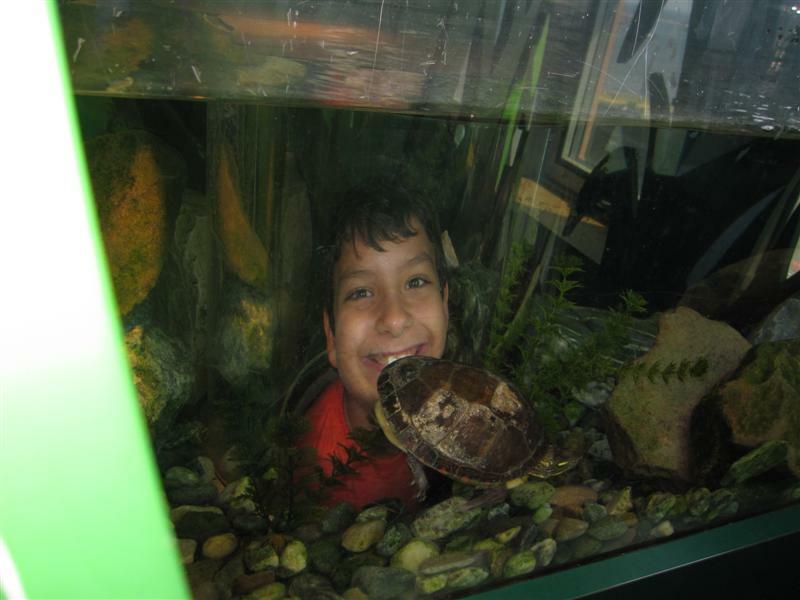 ECHO (Ecology, Culture, History and Opportunity) features over 70 live species of marine life, more than 100 interactive experiences, seasonal exhibits and participatory events. 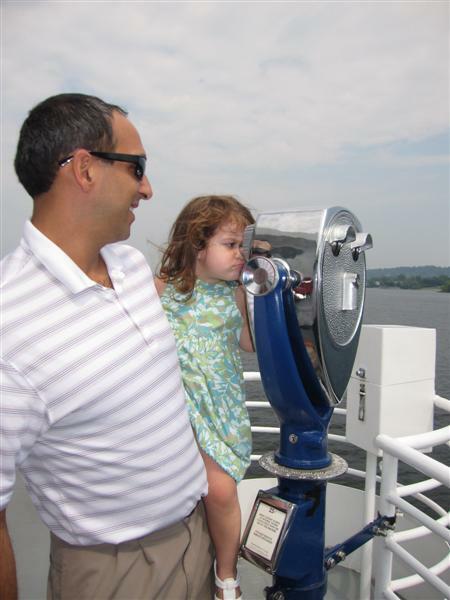 A lake cruise aboard the Ethan Allen. We enjoyed a buffet lunch and a 90-minute narrated tour which brought us to the central and deepest point of the lake, and along Burlington’s coast. "I can't see anything through this thing!" No one can, sweetie. 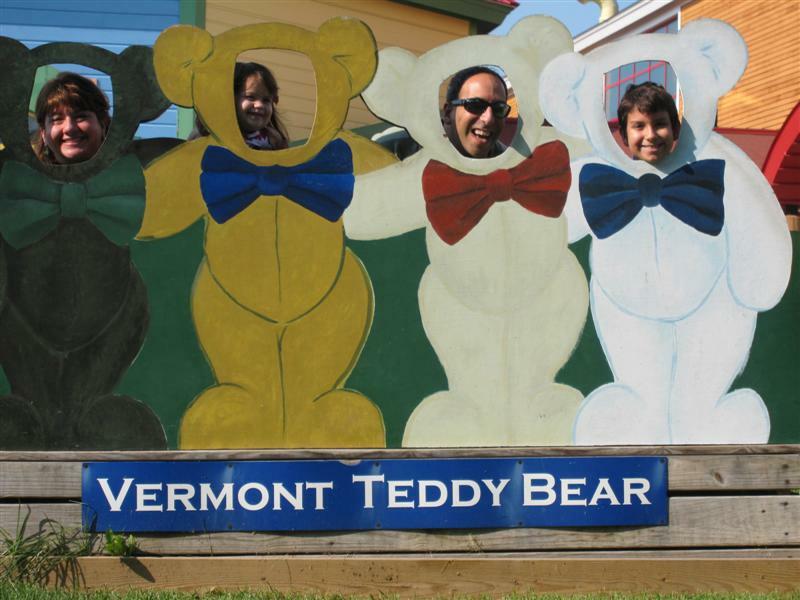 The Vermont Teddy Bear Company, which is technically in Shelburne, just south of Burlington. The tour guide explained how teddy bears are made, from cutting fur, sewing, stuffing, to dressing. Of course we ended up in the gift shop making our own customized bears, which were presented with a birth certificate, bow tie, and travel box. Watch out...sometimes, we're all in a cheesy mood at the same time. The filing cabinet in itself only rates a 4. 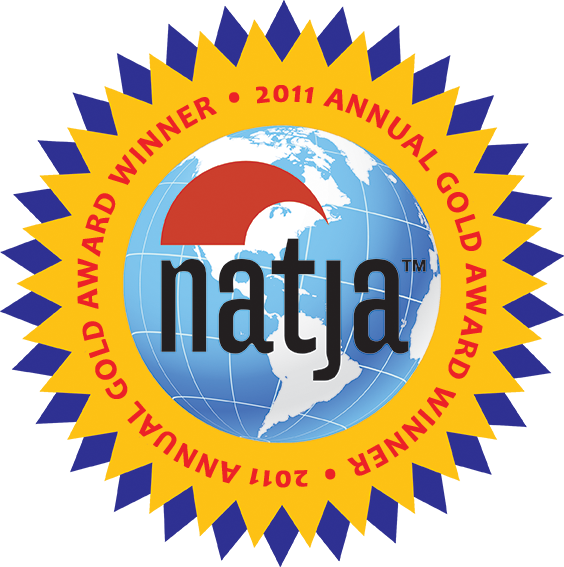 But as an all-around family vacation destination, Burlington is a 9! The world’s tallest filing cabinet is on Flynn Avenue in Burlington between Pine Street and Foster Street. But whatever…just go visit Vermont! This family travel blog won’t work! Or will it? …the man of the house hates getting lost. He has an unnatural affection for — and reliance on — our GPS unit. …there aren’t always the funds, or the time, to get away. The kids’ activities have us scheduled to the very nanosecond. So, here’s where you WON’T find the four of us: zip lining in the Costa Rican rainforest; snacking on toasted crickets in Thailand; or snowboarding down Mount Kilimanjaro. If that’s the kind of blog you enjoy reading, sorry! More likely, we’ll be riding in the family roadster, playing “I Spy” during a day trip through our Hudson Valley backyard. It’s a “back-to-basics” approach to travel, and it works for us! We finally got the kids their passports. Anyone who has tried keeping their pre-schooler still long enough to get that photo taken knows…fun times. I’ve passed the restless “I wanna see the world” traveling gene on to my 10-year old son, who keeps track of where he’s been with push pins in a map. Wherever he goes, our daughter is willing to tag along. Plus, for some unknown reason she calls a hotel a “soyal,” which kills me every time I hear it. 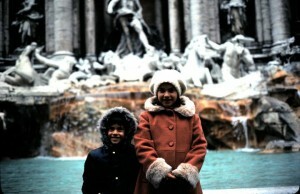 Travel provides riches in experiences and education, which I desperately want for my kids. It’s my job to expand their view of the world, encourage their curiosity, and broaden their perspective. And I’ve only got three more years to do so before my son becomes a surly, uncooperative teenager. Borrowed time. Teaser: In the middle of an overgrown corner in a residential neighborhood stands a rusting stack with some 38 drawers. The kids would have been pretty sore if this was the only site we took them to in Burlington. Their new Vermont Teddy Bears helped ease their anguish.